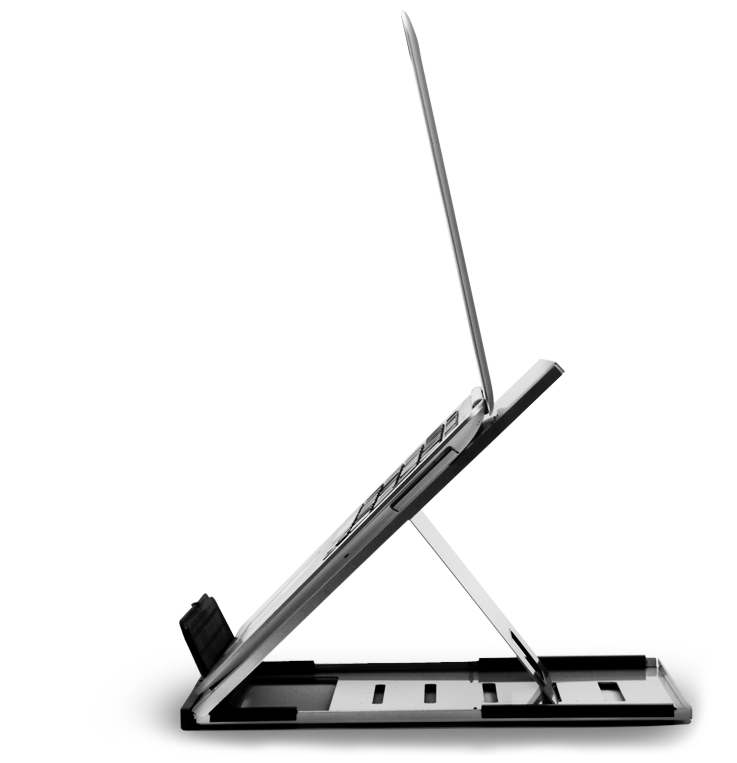 Made from strong, lightweight aluminium, CBS Laptop Stand folds flat and can be slipped into a briefcase or laptop bag. It provides mobile/hybrid workers with an ergonomic solution for their laptop. CBS Laptop Stand folds flat for easy storage and the lightweight material means the product is easy to carry with a laptop. CBS Laptop Stand raises the laptop screen to the correct height for eye level and when used in conjunction with a keyboard and mouse it provides users with an ergonomic workstation. CBS Laptop Stand can be used alone to raise the laptop screen or it can be positioned adjacent to another monitor, providing a dual screen solution and an enhanced working environment.